S100 Corrosion Protectant is the advancement on S100 Motorcycle Total Care. 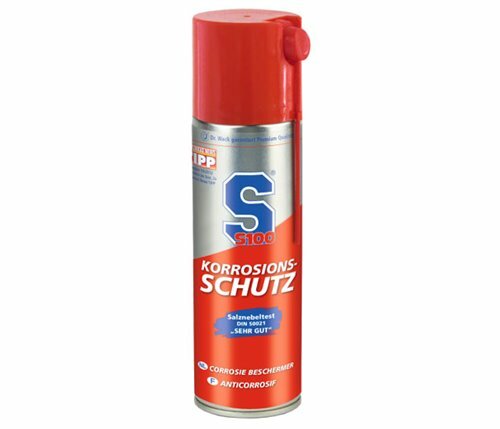 It reliably protects all metal parts against corrosion and stops existing corrosion in its tracks. With improved penetration, S100 Corrosion Protection now provides even better action in hard to reach places and in nooks and crannies. S100 Corrosion Protection is better than wax because it forms a ”self-healing”, transparent protective film that closes immediately again after being touched. That makes S100 Corrosion Protectant the best protection for winter lay up. Lubricates and displaces moisture.